Perfect for commercial shelter and large, more comprehensive storage at home, our 30-foot wide portable garages for sale offer unprecedented coverage at an equally-surprising price. 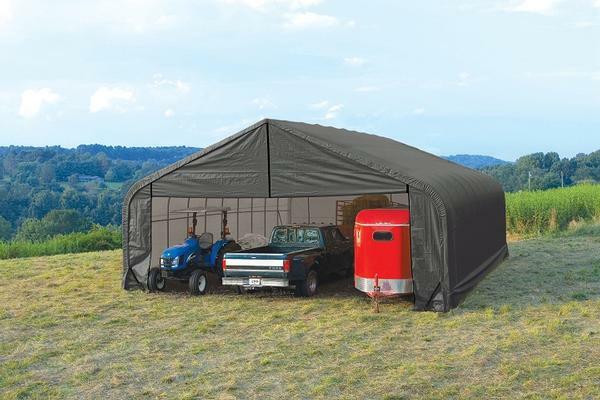 Set one up while staying in budget to fully cover any cars, seasonal vehicles, equipment, or other investments requiring protection from the elements. 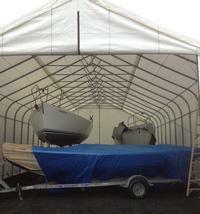 Because of their size, the possibilities are practically endless. 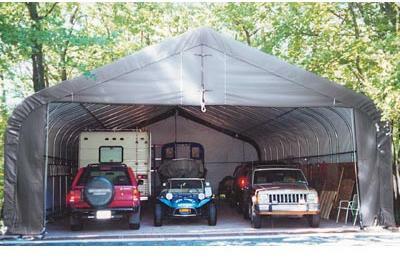 Rather than wait for rust, guard against it with our 30-foot wide portable garages for sale. 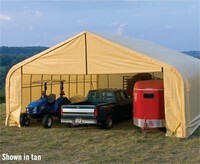 Along with a single, large shelter, choose from styles and sizes to effectively store all investments. 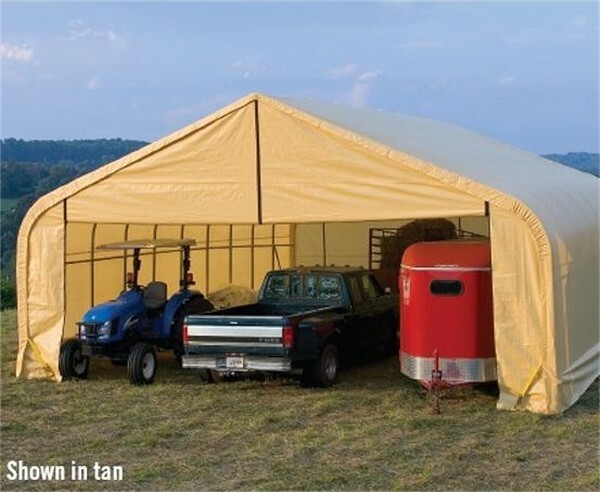 For these heavy-duty structural steel and polyethylene structures, select from multiple lengths and heights.